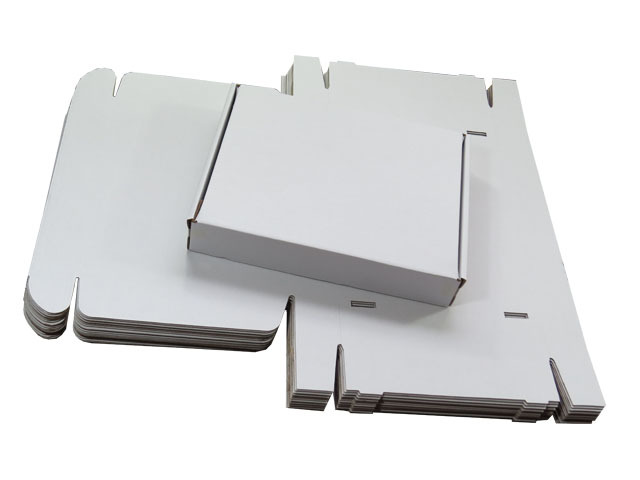 In this section you will find size 16x14x3" (440x349x79mm) die-cut pizza style single wall boxes, in various quantities/pack sizes. These have been specifically manufactured to meet the maximum external size allowed by Royal Mail under their 'small parcel' guidelines, enforced on 1 April 2013. Perfect for fitting anything that can be sent as a small parcel, providing an all round box for all these items, ensuring that you keep postage costs down. Royal Mail made changes to the way that parcels are treated within their network for individuals or businesses that send less than 1000 parcels a year. They used to have two maximum parcel sizes for items qualifying as 'small parcels', both of which we stock and are available on this site. They have now merged these sizes to create a new 'overall' size, as of October 2014. We stock the new maximum size as well, which is also available on this site. The cost of sending 'small parcels' in their network is significantly cheaper than sending 'standard parcels'.